There’s no shortage of experts to cheerfully advise you on how to declutter, organize, and clean your home. But do they know what you want and need? Or are they only pushing rigid, quirky systems that ignore people’s differences and how we really live? 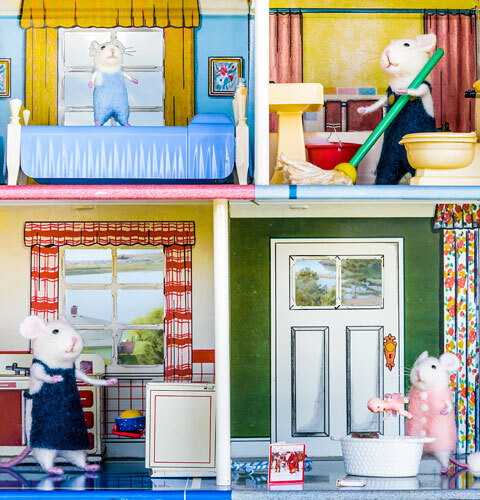 With insight, wit, and common sense, Smart Housekeeping cuts through the clutter of questionable and often silly advice to offer practical keys to reclaiming and maintaining your home. Anne L. Watson is the author of several soapmaking manuals, a cookie cookbook, a book on “living apart together,” and many literary novels. She is also retired from a long and honored career as a historic preservation architecture consultant. Anne and her husband, Aaron Shepard, live in Friday Harbor, Washington. 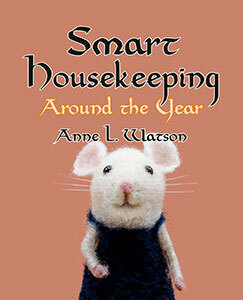 This book is a collection of tips on housekeeping and household organization—on making your home easier to live in. It’s a take-as-needed cafeteria of suggestions to adopt or expand on. Some ideas will trigger “aha” moments for one person, while not at all appealing to another. Most of what I suggest will fit easily within a small budget—and if you’re a renter, it won’t make you lose your damage deposit! The book can help if . . .
• You’re distressed by your home’s disorder, and you just don’t know how to fix it. • You’re downsizing or moving to a new home. • You run around every morning looking for keys, papers, or articles of clothing. • You buy duplicates of things because you can’t find the ones you have. • You wish you could have guests but don’t want anyone to see the mess. • You spend time cleaning, but things don’t get as clean as you’d like. • You want your family or roommates to pitch in more with household chores, but they’re not on board. So, now that you have an idea what this book is, let’s talk about what it’s not. • It is not a jump onto the latest cure-all bandwagon. If any fad could truly solve all housekeeping problems, why would new fads keep appearing? • It is not a tract. 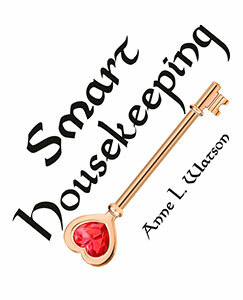 Smart housekeeping is not a path to nirvana or salvation, and I won’t pretend it is. • It is not a marketing lure. Sure, you can organize beautifully while going into debt for fashionable matched shelving and organizers at a specialty store. That store probably even has consultants to help you spend your money. So, if that’s your preference, you don’t need a book! • It is not a remodeling plan. I shudder to see articles prescribing home renovation for organization woes. Don’t get me wrong. I spent thirty years myself in the design end of the construction business, and I don’t deny that remodeling may eventually be worth the money, stress, and craziness. But it is not a solution for people looking for results in less than a year or so. And construction advice is irrelevant for renters and for people with little extra space. • It is not therapy. Yes, you might avoid some stress if you can find things without searching for hours. But no book on housekeeping will solve big personal problems like a compulsion to shop or hoard. If housekeeping and decluttering were the life changers some books claim, janitors would earn as much as therapists. • This book is not a substitute for wading in and doing the work. I wish I had some kind of magic formula to just make it happen. I don’t. But if you’re ready to make the effort, this book should provide some direction.